Furhat tilts his or her head, smiles, exudes empathy and warmth, and encourages us to open up. Yet precisely because it isn't human, and is therefore free from bias, the robot can spur people to engage more honestly, its creator says, making it useful in situations such as screening for health risks where people often lie. 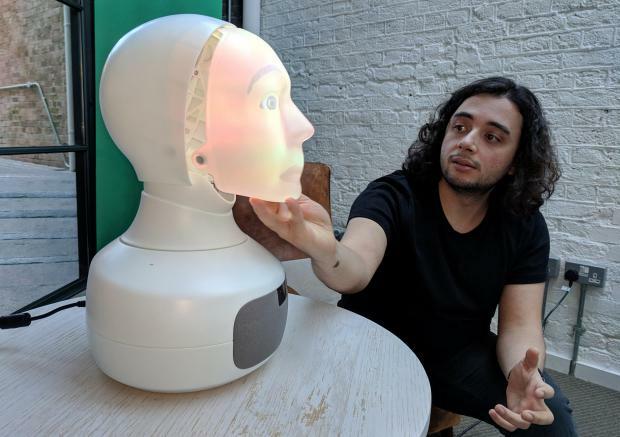 "We've seen research that shows that in certain situations people are more comfortable opening up and talking about difficult issues with a robot than with a human," said Samer Al Moubayed, chief executive of Furhat Robotics. That's because a robot's personality can mirror the personality of the person interacting with it and because people don't feel judged, he added. The robot has been used in Frankfurt airport as a multi-lingual concierge, helping travellers find their way, but also for customer services training - simulating irate shoppers for example. "Every robot needs a different personality depending on the job it's going to do," said Moubayed. "One of the barriers that robots have had ... is the issue with expressivity - being able to move like us, (with) very smooth, very expressive facial movements, eye movements, head movements," said Moubayed.